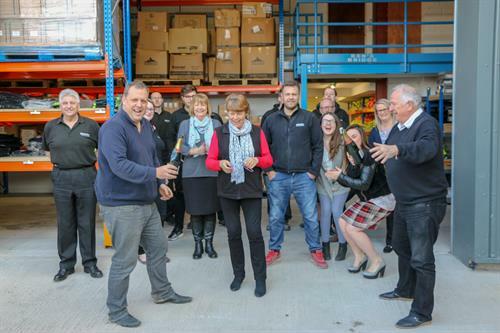 Since our humble beginnings in early March 1985, Concept Products has been the friendly family business supplying consumables to businesses across the UK. Our product range has continued to grow from initially supplying cleaning products and Industrial chemicals.Now, a large part of what we do is supplying branded corporate clothing and workwear, personal protection equipment and site supplies. Concept Products is now also one of the largest suppliers of Fencing Scrim and site supplies to the Festival and Event industry. We proudly supply some of the biggest festivals in the UK. It has benefits being located so close to Glastonbury!!! Once you enter Somerton, pick up sign for the Trading Estate. Once on the trading estate follow signs to the Town Hall (Edgar Hall). Concept is located 2 building to the left.